When you think of a hacker… do you imagine something like this? That’s certainly the image that Hollywood’s given us of what a “hacker” looks like. Yet, there’s so much more to the art – and community – of hacking than Hollywood or the media portrays. Hackers can be broken down into 7 general types, depending on their skills and hacking goals. I definitely chuckled to myself when I read this term in my last semester textbook. I’d heard about lots of the other types of hackers, but Script Kiddies? Script Kiddies don’t really care about learning the skills required for hacking (if they did, they’d be Green Hats). Instead, they use code snippets they find online and use that to create a virus, SQL injection, or whatever they actually know how to do. Script Kiddies usually just download overused software, such as Metasploit, and watch a YouTube video on how to use it. A common Script Kiddie attack will be a DoS or DDoS (Denial of Service and Distributed Denial of Service), in which they flood an IP with so much information it collapses due to the traffic and limited resources. Blue Hat hackers are those that seek vengeance on individuals (or groups) who have made them angry. Most Blue Hats are beginners, but they have no desire to learn. Therefore, a Script Kiddie may become a Blue Hat if they are wronged and choose to take revenge. These are the men and women you hear about in the news. They find banks, companies, or other organizations with weak security and steal identities, trade secrets, money or credit card information. Surprisingly, their methods of attack are often common hacking practices they learned early on. These are the vigilantes of the hacker world. They’re like White Hats in that they halt Black Hats, but these folks are downright SCARY when it comes to skills and how far they’re willing to go. Instead of reporting the malicious hacker, they will shut him/her down by uploading viruses, DoSing and accessing his/her computer to destroy the Black Hat from the inside out. They leverage multiple aggressive methods that might even force the attacker to need a new computer. One common Red Hat group you’ve probably heard of is Anonymous, a decentralized hacker group who have been active through the recent years. Anonymous have participated in events like #OpOK, a mutual Aid effort responding to the 2013 flash floods in the United States, and Operation Safe Winter, an effort to raise awareness about homelessness through the collection, collation, and redistribution of resources. More notably, however, they have targeted those they deem amoral including groups such as ISIS, the KKK, and Thailand prisons after reports of prisoner mistreatment. Nothing is ever just black or white, and the same is true in the hacking community. Gray Hat hackers don’t steal money or information (though, they have been known to deface a website or two), yet they don’t help people for good (although they could if they wanted to). These hackers comprise most of the hacking world, even though Red and Black Hat hackers garner most (if not all) of the media’s attention. These are the hacker beginners (or “n00bz”) but unlike Script Kiddies, they care about hacking and strive to become skilled hackers. They’re often mocked by the hacker community for asking simple questions. Side note: so should my site URL be greenhatHCKR? What do you think? White Hat hackers are the good guys of the hacker world. Also known as ethical hackers, they’ll help you remove a virus or PenTest a company. Most White Hat hackers have earned a college degree in IT security or computer science and must also be certified to pursue a career in hacking. Although there are many certifications you can pursure as a White Hat, one of the most popular is the CEH (Certified Ethical Hacker) from the EC-Council. 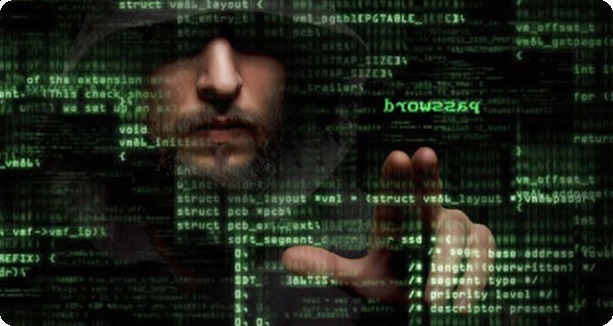 So now that you know about all 7 types of hackers… what kind of hacker are you? Thank you so much …. knowing this info is very very important! I’m glad you found this blog post helpful, keep an eye out for more helpful material in the near future.